[Lahore, 22 November 2013]:Mahgul for Nasreen Shaikh debut their luxury bespoke and pret a porter collection, ‘The Timur Collection’ this November, pret a porter pieces of which are now available at the PFDC, Ensemble and L’atelier in Lahore, Ensemble in Karachi and L’atelier in Islamabad and bespoke pieces, ready to order. Based in fabrics such as satins, silks and georgettes, The Timur Collection is embellished with unique mother of pearl inlay as well as detailed threadwork, and is cut in an altogether shorter silhouette channeling crop tops and high waisted skirts specifically, with a colour focus on jeweled reds, yellows and blues. 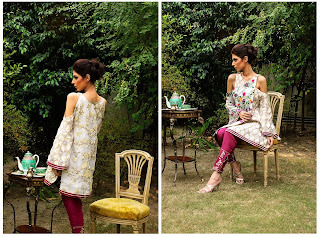 Speaking about the Timur Collection, creative head at the brand Mahgul Rashid said: “The inspiration behind this collection has been the idea of versatility - the challenge to create pieces that are original and not repetitive with uniform like outfits. Our vision is to keep the emphasis on the entire look rather than just the garment and The Timurcollection specificallylooks to inspire the less is more concept in terms of luxury embellishment, concentrating more on the entire silhouette rather than just endless embellishment”. Pret a Porter versions of the Mahgul for Nasreen Shaikh’s luxury ‘The Timur Collection’ are now available in store and bespoke creations are ready to order by appointment. 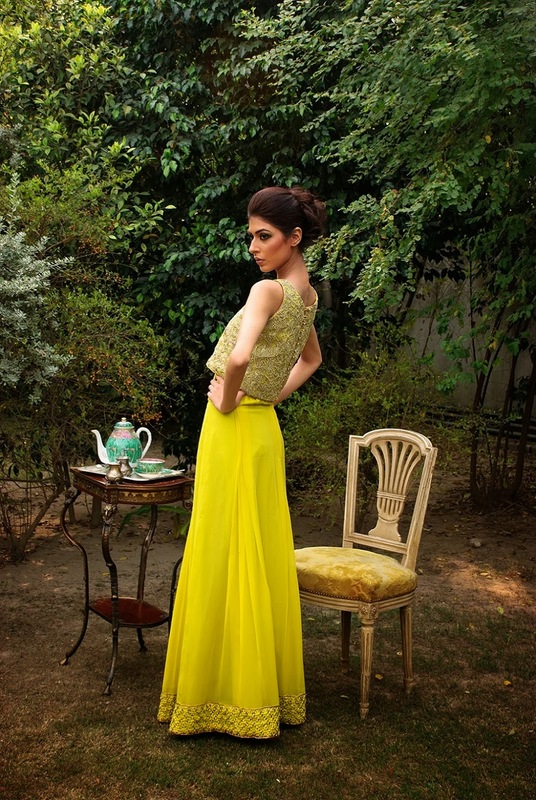 The seasoned Lahore based fashion house, Nasreen Shaikh, launched brand new label ‘Mahgul for Nasreen Shaikh’, which made its runway debut at PFDC Sunsilk Fashion Week 2013 in the emerging/new talent, multi designer showcase. 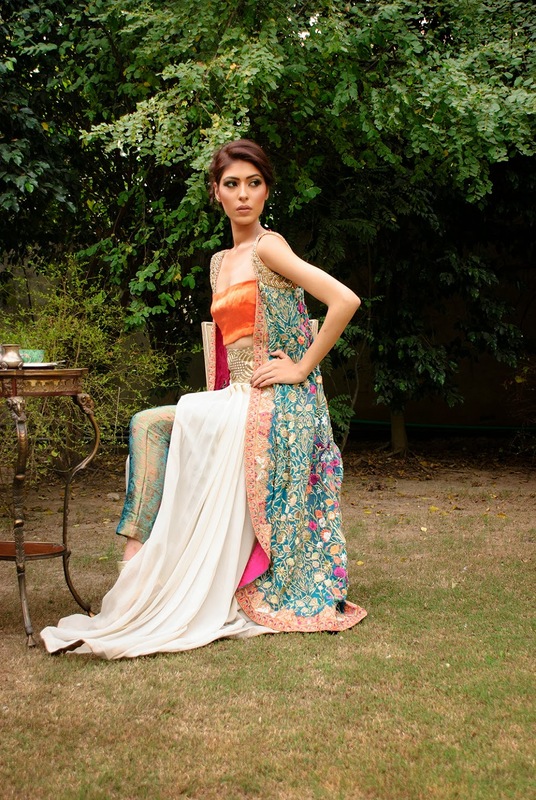 Indeed Nasreen Shaikh has been designing exclusive bridal and formal wear for almost two decades, with the label having come to be synonymous with understated elegance. 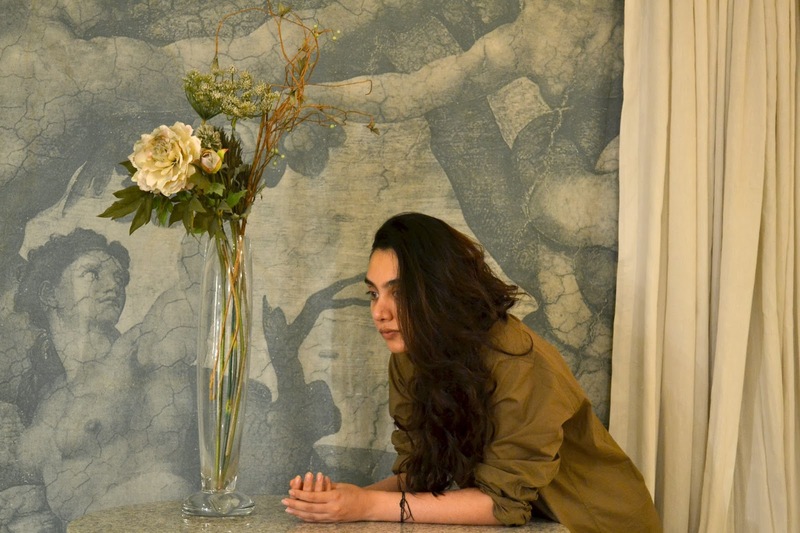 With Mahgul for Nasreen Shaikh, the couturier introduces a new generation of talent through her granddaughter Mahgul Rashid, as the new line’s creative director. Mahgul, a fine artist having worked with Rashid Rana, has been apprenticing with Nasreen Shaikh for the better part of 6 years and the new eponymous brand, Mahgul for Nasreen Shaikh, encapsulates Mahgul’s contemporary aesthetic of promoting modern simplicity, within an accessible ready to wear and bespoke label. Mahgul for Nasreen Shaikh’s first retail collection as showcased at PFDC Sunsilk Fashion Week was titled ‘The Archive Collection’, where the designer found inspiration in old photographs from the Civil and Military Gazette to create pieces that attempt to re-invent a traditional aesthetic sensibility in a more modern context. Since the brands debut, Mahgul for Nasreen Shaikh has introduced a line of bespoke and ready to wear clutches as worn by Academy Award Winner Sharmeen Obaid-Chinoy to Beyonce’s Sound of Change concert where she was representing Pakistan as well as by Pakistani media personalities Meesha Shafi, Zara Peerzada and Ayesha Omar and international filmmaker Mira Nair. The brand has also since created a line of bespoke jeans, exhibited in Karachi, released a mid-summer/Eid collection and now debuts a luxury line with ‘The Timur Collection’.